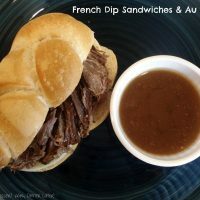 French Dip Sandwiches & Au Jus - Dessert Now, Dinner Later! My husband suggested we have french dip sandwiches for dinner this week, & I had to stop & think about, “When was the last time I actually had a french dip sandwich?” I honestly couldn’t really remember…elementary school? Really? It’s not like I don’t like them, I LOVE them, so why hadn’t I made them before? Well, enough with the questions. I hopped on the french dip train & made them! And I am so glad I did! 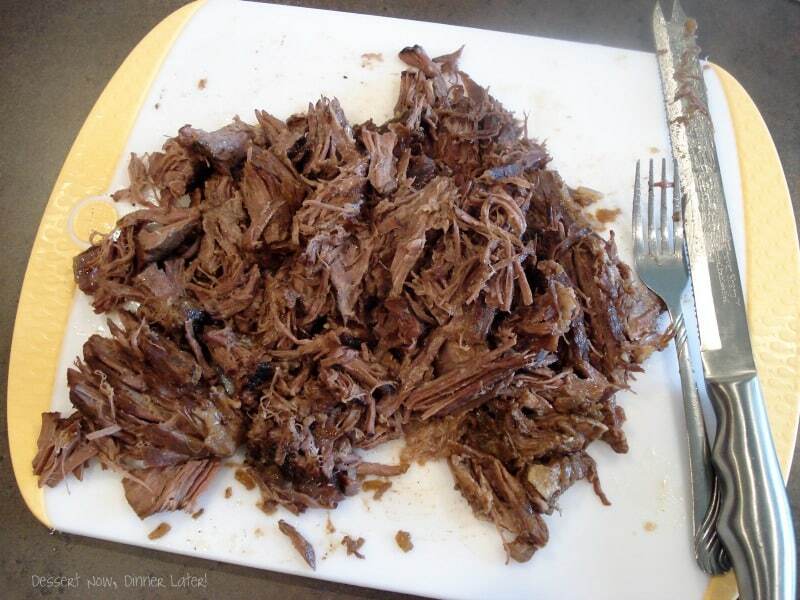 This recipe is slow cooked, so the meat is amazingly tender & the au jus is rich & flavorful. Will be making this again & again! 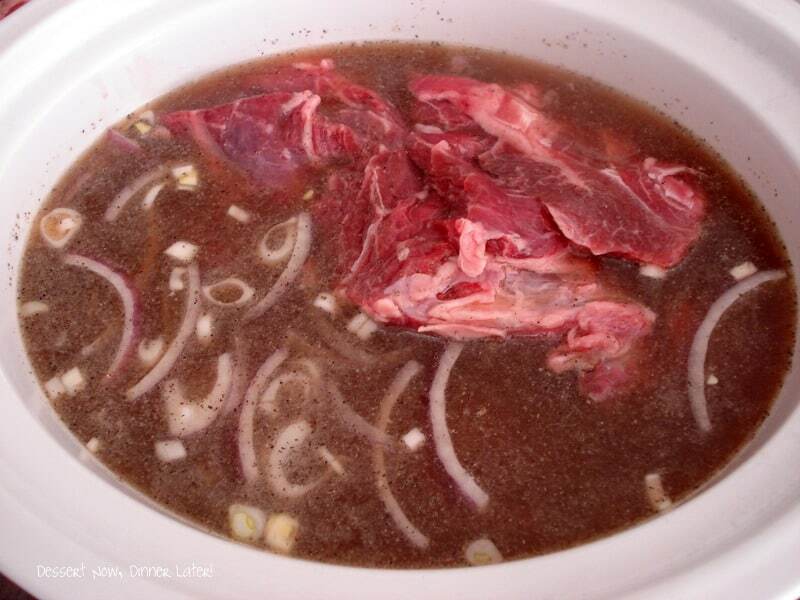 Pour beef broth & soup into a crock pot. Add garlic powder, onion, salt, & pepper. Strain the au jus into a separate pot with a mesh strainer. If you have a gravy separator, use it to remove the oil film at the top. If not, do what you can to get most of the oil off the top, unless you like it that way. 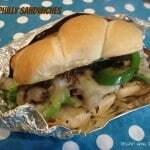 Serve on fresh or toasted rolls with cheese if desired. 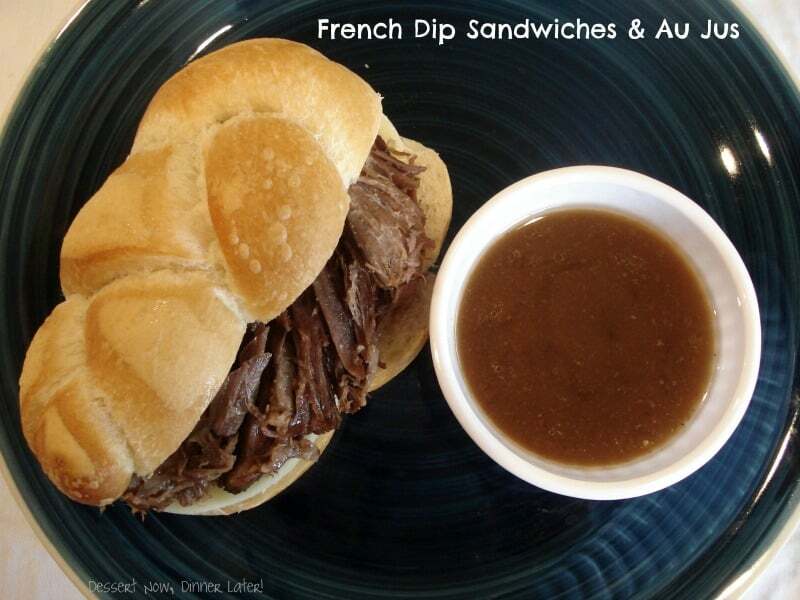 Dip into the fresh au jus & enjoy! *You can season your roast with salt & pepper & sear it in a pan before slow cooking it for additional flavor. 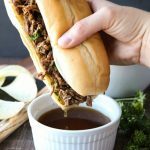 **If you end up with extra au jus after everyone has scarfed their delicious sandwiches, don't you dare get rid of it! Pour the rest into an ice cube tray & save it! 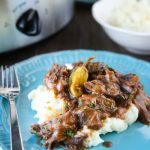 Great for gravy or soup! This looks awesome! 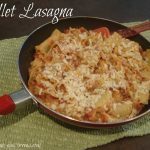 I’m making it tonight…thanks again for another great dinner idea. Thanks so much for linking up all your yummy recipes to Creative Thursday this week. This is delicious looking and I LOVE French Dip. Can’t wait to try this recipe. Hope to see you again next week. Have a wonderful weekend.